Sharks fill most people with terror, a regrettable side-effect of modern popular culture. For scuba divers however, sharks are beautiful creatures they feel blessed to encounter. 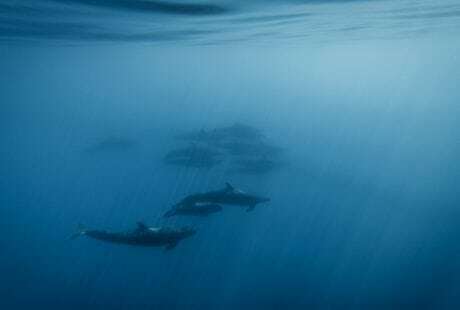 Regular divers know that to share the water with a shark is a great privilege, particularly if the encounter is more than a fleeting glance of a tail fin disappearing into the blue. Divers know that most sharks are wary of bubble-blowing visitors to their realm and will, generally, keep their distance. While accidents do occasionally occur, they are incredibly rare. 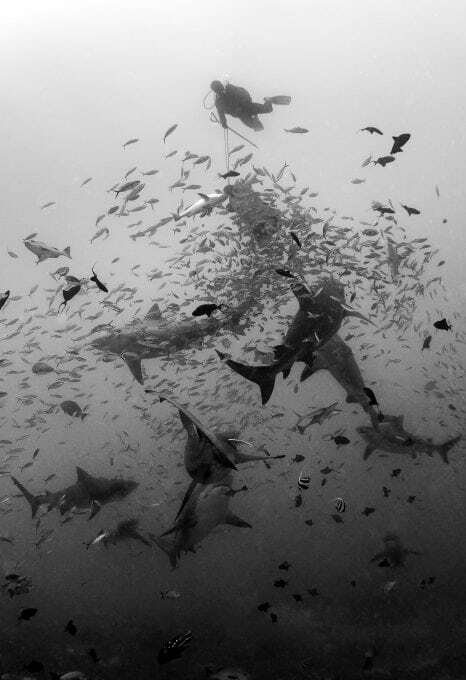 But while scuba divers would all agree of the majestic nature of the animals, the importance of maintaining a healthy respect for their apex status and the fact that most interactions will pass without incident, there is a practice used in shark diving that continues to divide opinion: baited dives. The practice has been adopted, in the most part, for recreational divers, to bring the sharks in closer. Some believe the practice to be harmful to sharks (as well as increasing the likelihood of human injury), while others insist the practice is an important tool for maintaining and protecting certain shark populations. A study published in July 2013 in Marine Policy reported that approximately 100 million sharks are killed every year. This number is clearly unsustainable and continuance of the practice could have a catastrophic effect on marine ecosystems. 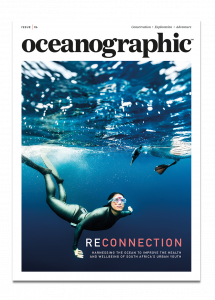 We, as humans, have a vested interest in the preservation of the ocean’s top predator, our lives on land intertwined with the health of the ocean. But how we go about bringing awareness to the world about the need to preserve shark populations remains a matter of controversy. Those opposed to the practice of baiting believe isolated shark populations could undergo behavioural changes and become accustomed to being fed rather than hunt. Furthermore, the association of humans with feeding/food could have dangerous consequences, as could the association of a particular area/reef with food. Are local swimmers and divers at greater risk as a result of the practice? Shark conservation efforts could also be undermined, local fisherman taking advantage of a tame catch. 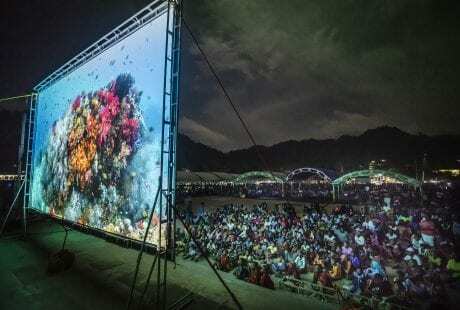 Opponents of baiting practices also levy the accusation that dive operators are exploiting sharks for financial gain, charging tourists sizeable fees for the experience of a lifetime. Tourism, however, is one of the primary arguments for shark baiting. Some reefs that were once fished to near desolation are now protected, the local fishermen now making their living as dive guides and operators. It is estimated that a shark’s value at market is about $150. That same shark, kept alive as a ‘tourist attraction’, has a value of approximately $2 million over the course of its lifetime. 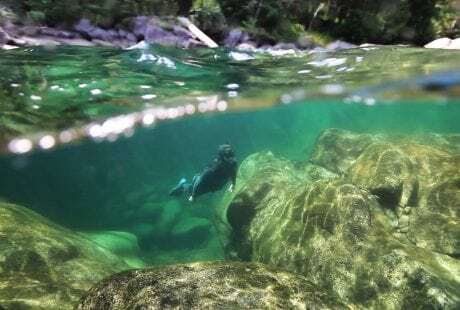 Advocates further suggest that baited dives allow underwater photographers to capture compelling imagery – imagery that would be significantly harder to capture without the use of a bait bin. Captivating images are a critical part of effective conservation, making baiting an important tool. 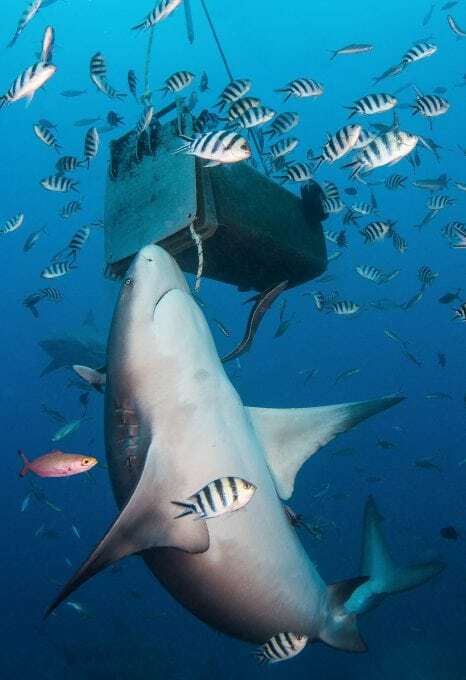 Allowing divers – along with the aforementioned professional photographers – to participate in baited dives helps dispel the myth that sharks are bloodthirsty killers. In truth, sharks are intelligent and graceful animals. The data suggests baiting has had no effect on the number of shark attacks. With contentious issues such as these, it is important to look at facts and figures. So, what does the data say? Since the practice of baiting became more commonplace has there been an increase in the number of shark bites in places such as Tiger Beach, Bahamas, for example, one of the world’s most popular shark feed dives? According to the Global Shark Attack File, maintained by the data-crunching Shark Research Institute, two to three people are bitten in the Bahamas each year. This number has not changed since the late 1990s, despite the enormous growth in the dive industry in the area, including in areas such as Bimini and Tiger Beach where shark feeding is common. The data suggests baiting has had no effect on the number of shark attacks. Researchers from the University of California Santa Barbara and Florida International University teamed up to better understand how scuba diving activities influence shark behaviour. They studied a remote area in the central Pacific Ocean called Palmyra. 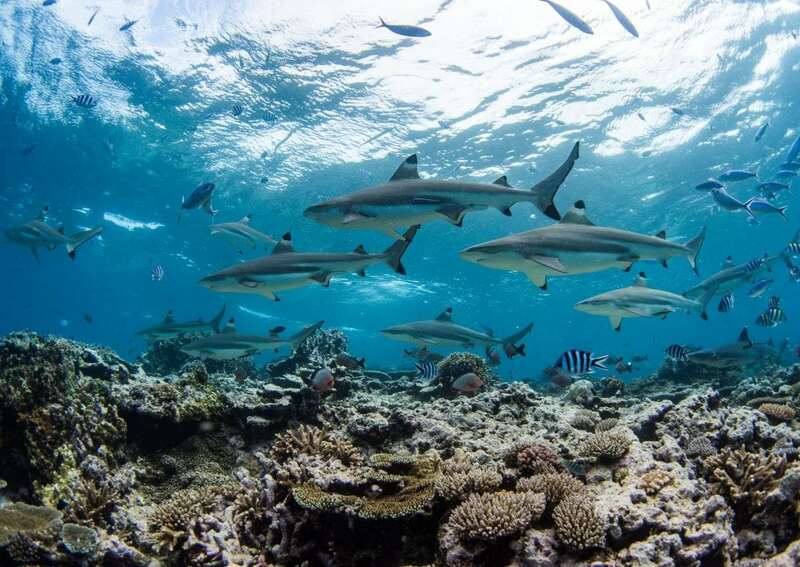 The atoll has a healthy shark population and is rarely dived. It is also in a marine protected area where fishing is banned. There is a scientific research station located on the island, its nearby reefs regularly dived by the resident scientists. The rest of the island’s reefs remain unvisited. The island was ideal for comparing whether sharks behave differently in locations where diving is common and those where it is not. The scientists used a combination of survey techniques to determine the abundance and behaviour of reef sharks, including baited remote underwater video systems and multi-year monitoring. Although evidence from other studies has shown that shark behaviour changes over the short term in areas that are heavily dived, the results of this study determined that behavioural changes may not persist over the long term. 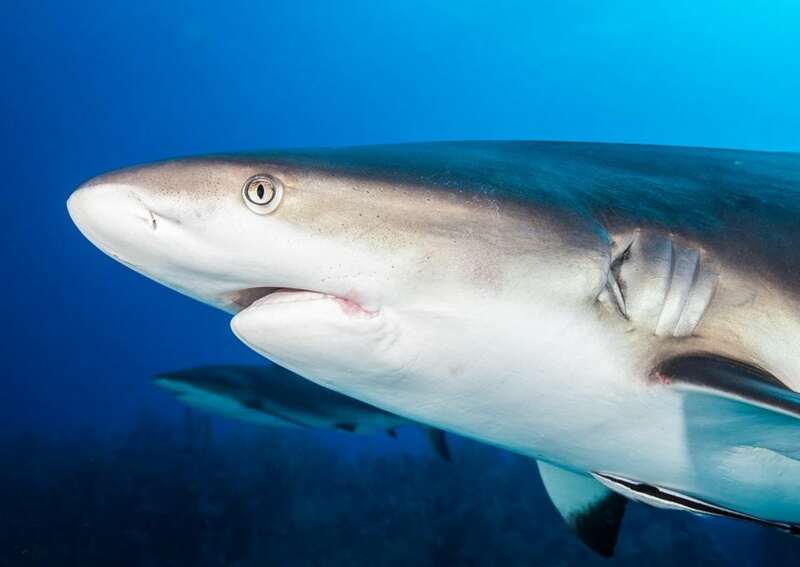 The scientists did not find differences in the abundance of sharks, their residency patterns, or their behaviour between sites that were heavily dived and sites that were not. 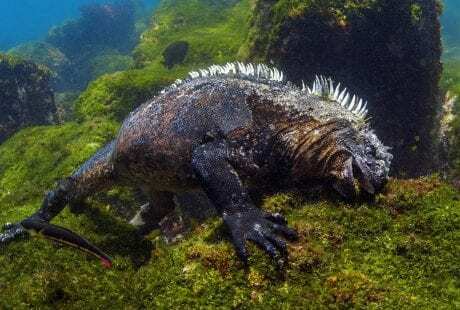 In addition, no differences were observed between a year with substantial diving and a year with no diving on the island. This is good news for shark tourism. The results of this study suggest that scuba divers can interact with sharks in their environment without impacting shark behaviour in the long term. It also suggests that conservation goals will not be undermined by responsible dive operators seeking to promote eco-tourism. It is a win for tourism and, importantly, it is a win for sharks.